Every year, AJB and other local businesses join the Forney Independent School District to collect and donate food to the Forney Food Pantry. The District set a new record last year, receiving more than 35,000 donations during the Pack the Pantry Food Drive. The Forney schools, organizations, and businesses are planning to collect even more donations this year. 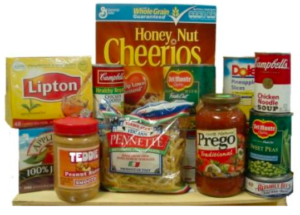 The Forney Food Pantry appreciates all donations, but have also provided a list of items that are most needed. If you’re interested in giving back to the community, we strongly encourage you to come by AJB to drop off your donations for Pack the Pantry.